Fans discussing at Gearbox panels. 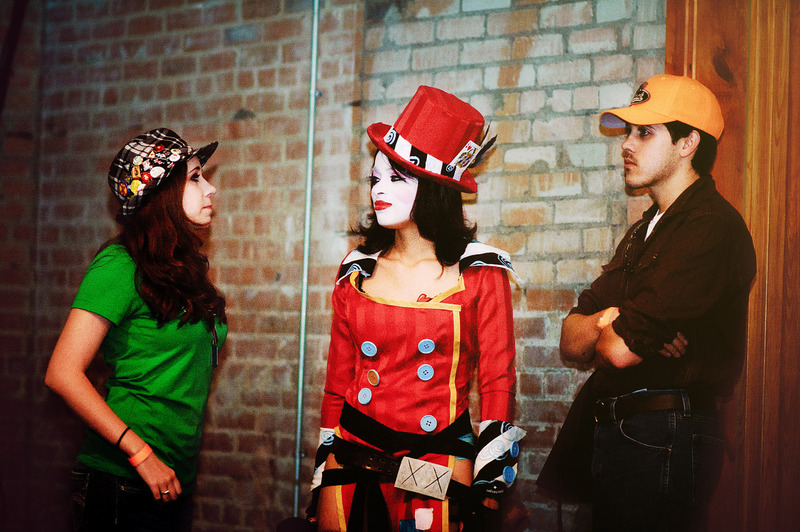 In green, Tisha (nicknamed Tora) is a local celebrity as her boyfriend asked Gearbox to make a video using Borderlands character to propose to her. She said yes and they are going to get married soon with the Gearbox team being invited to their wedding.